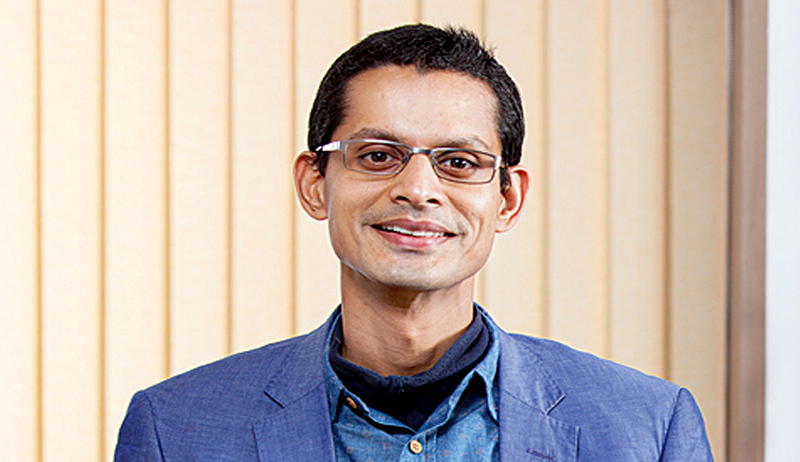 A facebook page of the Institute of Law, Nirma University announced recently that the illustrious Prof. Shamnad Basheer was appointed as the Honorary Research Chair Professor of the Centre for IPR, at Institute of Law, Nirma University. Prof Purvi Pokhariyal who heads the institute of law is an outstanding legal leader and I look forward to working with her and her colleagues,” he added. Prof Basheer however clarified that this appointment at Nirma is an honorary position, where he is meant to provide critical strategic inputs to help shape the IP programme at Nirma. Owing to his health condition, he would only be visiting the institute a couple of times every semester. I've been advocating clinical legal education in a small way through a coalition of lawyers, academics and students that I founded called P-PIL (promoting public interest lawyering), but this engagement with Nirma will help drive clinical legal education and foster public interest lawyering in a more structured institutional manner.”, he added. This appointment of a leading IP scholar is likely to provide a significant boost to Nirma, which has begun playing a pioneering role in the legal education space. Speaking to LiveLaw on an earlier occasion, Dr. Purvi Pokhriyal, Director, Institute of Law, Nirma University had noted, “ILNU gives lots of emphasis for overall development and so is always vibrant with number of activities for the holistic development of the students including developing amongst them leadership, planning and organizing skills. Most important ILNU is known for its discipline and attendance standard.” You may access full text of the interview here. Prof. Basheer graduated from the National Law School of India University, Bangalore in 1999 and after a short stint in practice with leading IP law firm, Anand and Anand, migrated to academia. He began by teaching at the George Washington University law school in Washington DC before returning to India to take up the MHRD Chair Professor in IP at NUJS in 2008. He left NUJS in 2014. Around the middle of this year, he resumed his academic association by signing on as a visiting professor of law at the MPP (masters in public policy) programme at the National Law School (NLS), Bangalore. “[T]his is a wonderfully pioneering programme initiated by Prof. Japhet. And has managed to attract some outstanding graduates from so many diverse disciplines. Given their backgrounds, the classes are extremely engaging and fulfilling for me as a teacher, as you get so many different perspectives and experience interdisciplinary in its true form. Particularly important for a subject such as IP which calls for an engagement with science, technology, history, economics, political science etc. Similarly, public health law calls for a serious engagement with fields as diverse as medicine, sociology, epidemiology and anthropology,” he said. Highlighting Nirma’s support to IDIA, Prof Basheer noted: “I also have a huge soft corner for them (Nirma) as they were the first private law school to offer our underprivileged IDIA scholars a full scholarship. Two of our scholars are now studying there and doing quite well. Prof. Basheer was awarded the prestigious Infosys Prize in 2014 for his remarkable work on legal theory, legal practice and also legal education by a jury headed by Nobel Laureate Amartya Sen. You may read the LiveLaw story here.